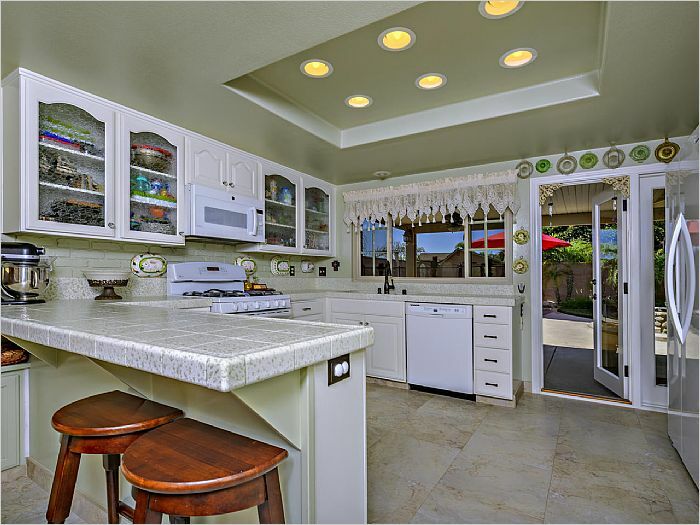 Gorgeous SINGLE LEVEL 1,870 SQ.FT. 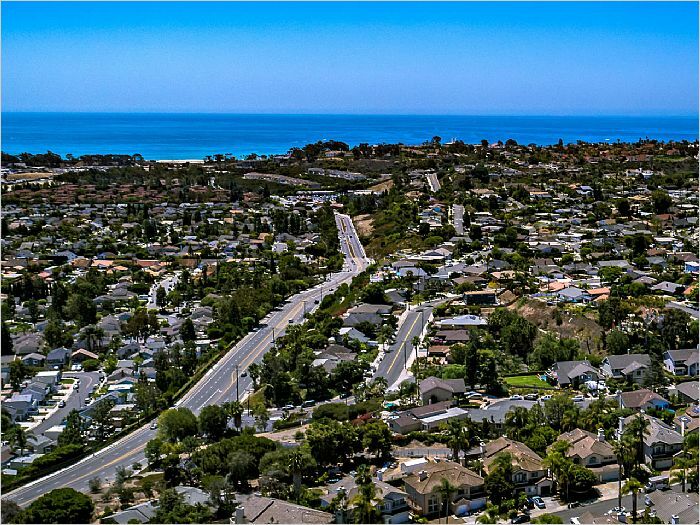 home | Two Miles from the Dana Point Harbor & San Juan Capistrano MissioN|No HOA's,No Mello-Roos, No Association Fees|Home offers a terrific floor plan, with dual pane tinted windows, beautiful window treatments. Three Bedrooms, including double-sized Master Bedroom (17' x 25''), an Office or fourth bedroom (non-conforming) & 2 � Bathrooms | As you walk up to the entrance of this peaceful home, you'll hear the sounds of a water fountain. Additional features include a spacious open kitchen with tile counters, four burner gas stove with grill, and large convection oven. 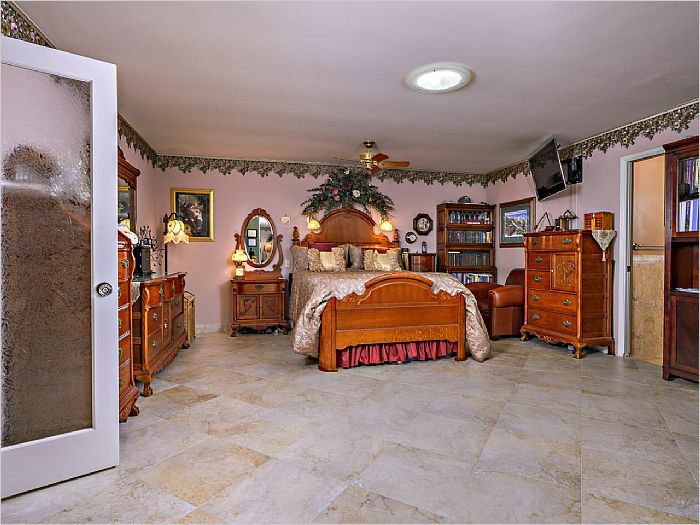 Living Room, Dining Area, and each Bedroom have ceiling fans with mirrored closet doors. 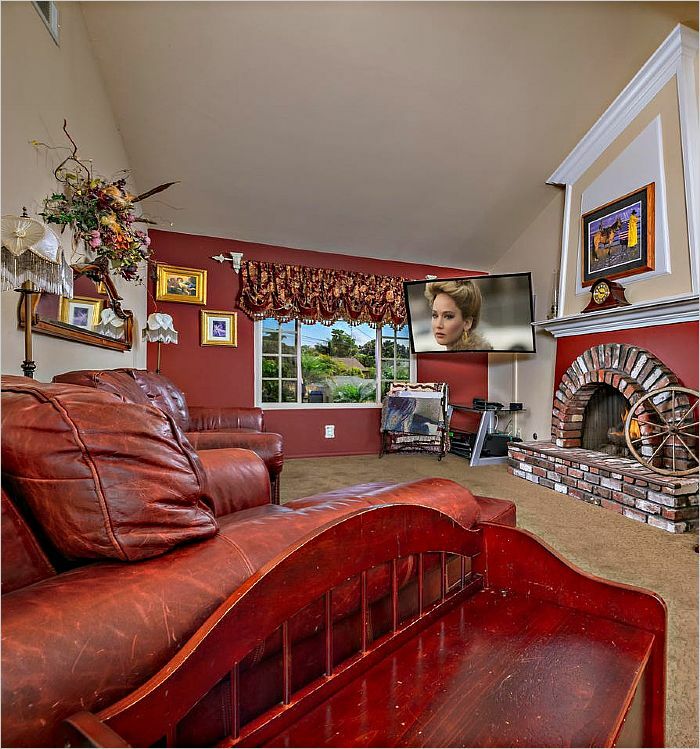 The Living Room, Bedrooms, Office and Garage include LED/LCD TV's. The patio cover has a fan and lighting. Enjoy the SAVINGS on electricity, by living 2 miles from the ocean with the lovely breezes. 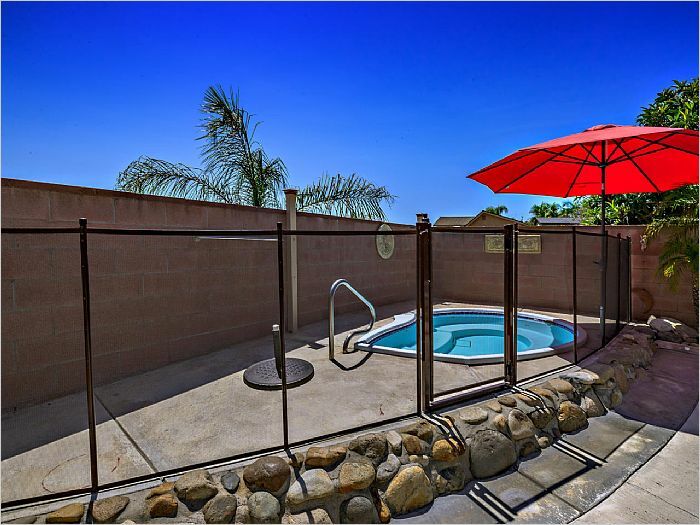 Private backyard, mature landscaping with a tropical look, fire pit for those evenings with friends, newly refinished spa with safety gate. Backyard fountain, BBQ, concrete patio table with seating. Four resin storage containers/sheds. Garage with custom workbench, 60 gal upright Ingersoll Rand Air Compressor, wired with 220v sub-panel. 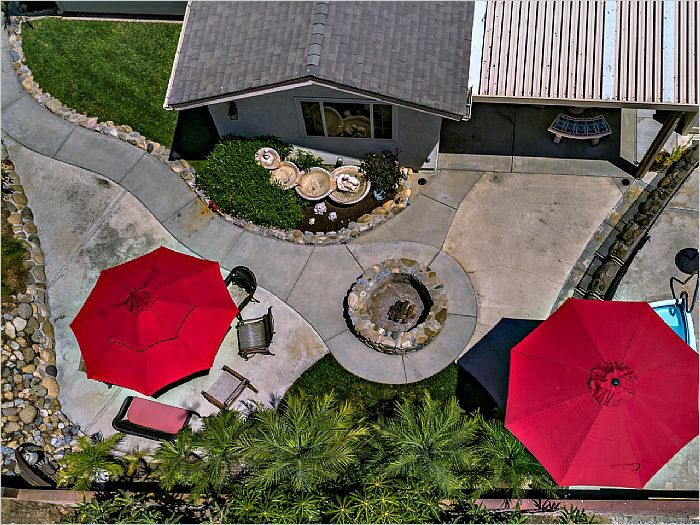 Conveniently close to beaches, walking distance to schools, Sports Park, shopping, Dog Park, dining and so much more. 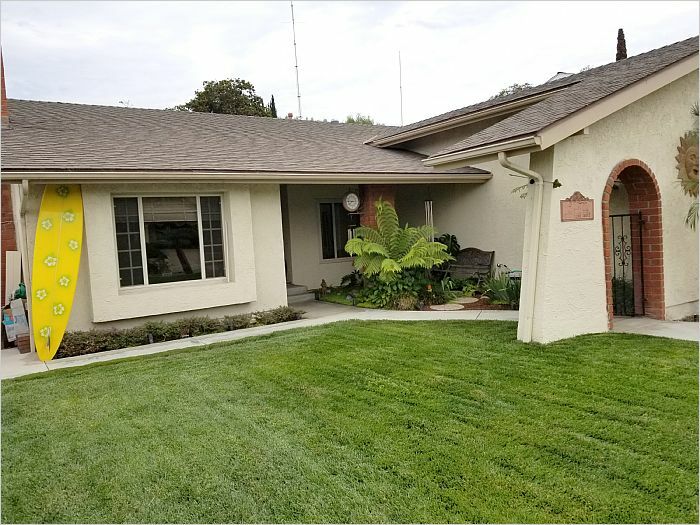 Located near a maintained bike path that leads to Doheny Beach or the Mission Bell and inland to Old Town San Juan Capistrano and beyond.